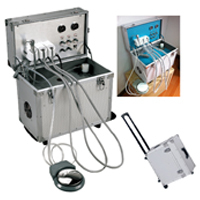 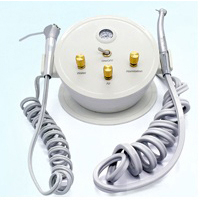 Dental delivery systems/ dental delivery units are necessary equipment for a dental practice. 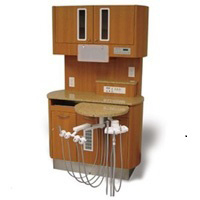 The first step to choosing dental delivery systems is whether you want a chair or base mounted unit or a portable delivery unit. 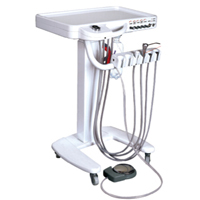 Chair or base mounted units can be rear, side, ellipse or over the patient. 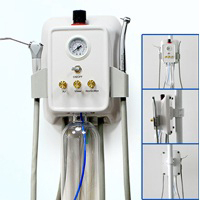 Typical dental delivery systems have automatic activation for at least three handpieces, self-contained waterline with asepsis tubing and purge system, airflow control and a control panel with wet/dry foot control. 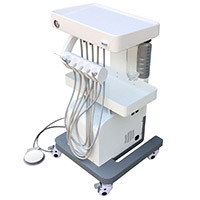 Some dental delivery systems can integrate various accessories like fiber-optic systems, intraoral cameras, x-ray viewers, lighting and touchpads. 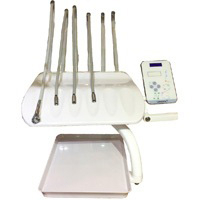 There are numerous products to choose from, be sure your vendor offers an extensive warranty, is available for any questions during implementation and offers technical support.